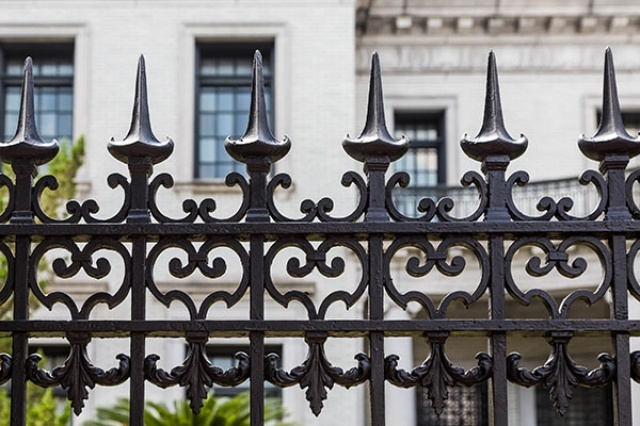 When it comes to buying an automatic gate, there are plenty of factors to consider. To make this easier, we’ve created a guide to help you buy the right automatic gate. One of the most important themes when buying automatic gates is choosing the right type. Choose between a swinging gate, and the sliding gate, for example. This will depend on the space you have available on your property. It will also be dependent on your budget. Next you should have an idea of the size and style of the date you want. These guides are available in plenty of design options. You can have a great custom designed to fit the rest of your property’s layout and environment. There are different types of gate motors that you can choose from. 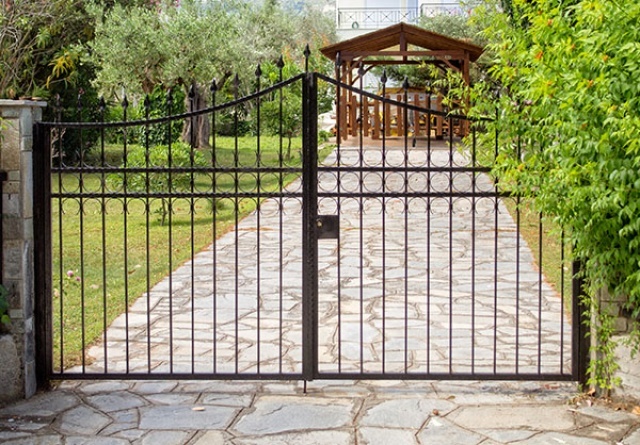 This depends on the size of gate you want installed, as well as your unique requirements. You can get Gate motors that operates silently, as well as those operating underground. It also depends on the type of gate that you need to operate. you can also choose between additional add-ons for your automatic gate. This can include an intercom system to talk to your guests remotely. You can also add access control options like card readers and fingerprint readers. This will give you an additional layer of security. An automatic gate has plenty of benefits to offer. It’s a great way to protect your property and you can choose from a variety of styles. With an automatic gate you’ll need to choose an automatic gate opener. There are different types of openers that you can choose from. Swinging gate openers are ideal if you have enough space available. They will open the gate in a swinging motion, which is why they need more space. These automatic gate openers are usually very strong, especially if you have to open and close large gates. 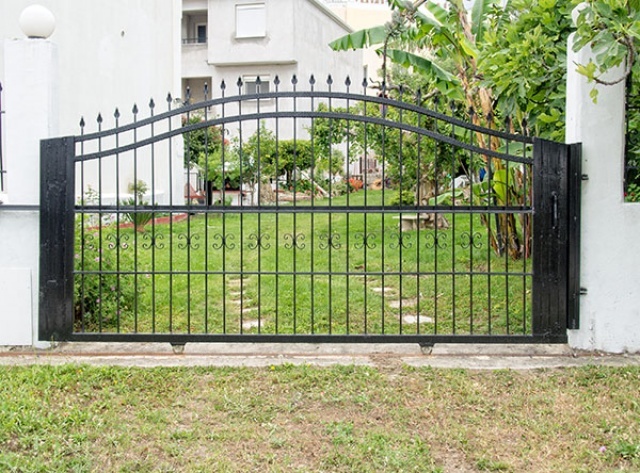 These gates are perfect for large properties with plenty of space. These gates are also very strong and usually have modern designs. That’s why they are used in residential and commercial properties. Sliding gates are often used in properties with limited space. It’s a popular gate that makes for the ideal way to secure your entrances. These automatic gate openers can help you to manage your entrances at home or at the office. You can also add additional security measures like card readers and intercom systems. It’s a versatile option and very cost effective too. You get a variety of gate openers and motors. Some are located below ground to make it more effective and soundproof. Others are more powerful and can power large gates on your property. Talk to a professional installer to find the best gate opener for your budget and unique needs. Regardless of your location, you want to choose the best option for an automatic gate opener. There are different types available, making it a difficult choice. Whether you need one for residential or business purposes, gates are important to have. Automatic gate openers can be a great addition to any property. You’ll be able to add security to your property. You’ll also be able to easily control who can enter your property. It’s the perfect way to enter and exit your property without having to manually open or close a gate. Swinging gates require more space than sliding gates. That’s because they open and close in a swinging motion, as compared to simply sliding from side to side. That’s why they are used in larger properties. Sliding gates are often easy to install and popular with residential homes and complexes. Dual gates have a quiet operation as they are not so many moving parts. They are durable and powerful too. These gates can have an underground sensor to open automatically for you when you want to get out. You don’t have to manually open a gate to move in and out of the property. 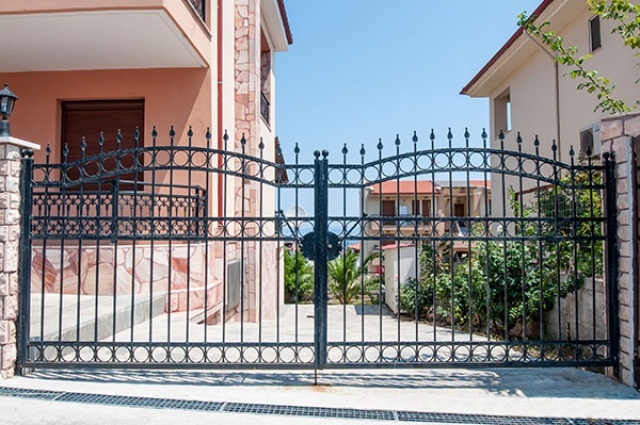 Which Type of Gate is Best for you? An electric gate is a great option for any home. But with so many types of automatic gates available, it’s hard to know what gate will be best. That’s why you should work with an experienced installer to help you find exactly what you need. Swinging gates are ideal if you have a larger property. They need more space to open since they open with a swinging motion. These gates have beautiful designs and come with various options. They are often seen on upper-class properties and office buildings. You can have a single or double swinging gate. Sliding gates are very popular among home owners. They take up less space and are easy to install. These types of automatic gates are ideal if you want a gate that helps you to manage your entrances. You can add an intercom system and access control options. These gates come in a variety of designs. Sliding gates have wheels and slide open to the side. The decision to have your gate slide inward or outward depends on your needs. You should consider the space you have available, and the design that will fit in with your property. Both of these options are great and it depends on your needs. In general, people often choose an inward sliding gate. By using an automatic gate opener you can ensure that your property is protected. Not only do you have a secure way of protecting your entrances but you can control who enters them. An automatic gate is a great way to ensure that you can control your gate area remotely. Using an automatic gate opener will save a lot of time and effort. You can let people in with a remote control, and keep unwanted intruders out. You can install these gates at your residential property or at your offices. There are plenty of design options to choose from. You can choose between sliding gates, swinging gates and more. This means your automatic gate opener can be installed to fit your specific property. You can have a sliding gate that slides open and closed, to give easy access to almost any property. Or you can choose to have a swinging gate that will allow you to enjoy a larger gate area with a great design. The type of automatic gate opener you choose depend on your needs. If you have a limited budget you can install one that slides open and closed. These gates are often easy and affordable to install. They are popular in many homes and office buildings. You can choose a swinging gate for properties with more space, and for situations where you want something unique. When you want to install an automatic gate, make sure that you work with a professional installer. It will make all the difference in terms of quality and value for money. For more information about automatic gate openers, phone 01916511011.